 We are a Polish family-run bakery CHARISTIA founded in the 70-ies. We produce high quality communion wafers and hosts using wheat flour, rye flour and low-gluten flower. In the 80-ties we have developed a new kind of liturgical bread: communion wafers and hosts with a cross sign on both sides. Our communion wafers and hosts are baked in accordance with the Canonical Law (Canon 924 & 2), the current Liturgical Law and traditional Roman Catholic way – from pure wheat flour and water, with no additives or preservatives. We have traditional and modern machines and we benefit from very experienced and highly qualified complement of loyal employees. Our production complies with the HACCP quality system. We guarantee fresh and high quality products, straight from the bakery, at highly attractive price. Our communion wafers and hosts simply melt in a mouth and our loyal customers are appreciative of their taste. From 1 February 2013 we started a direct sale from our bakery – both wholesale and retail sale. Our bakery is still situated in the same place where it was first founded over 40 years ago. Today, the bakery is modern and prosperous. We have a current permission from our local Diocese Bishop to sell communion wafers, hosts and liturgical wine to serve the Holly Mass.